Boy, am I rusty! It took me forever to come up with this design! I've GOT to get back in practice! I used to be able to whip out a much more original and elaborate card design much speedier than this one! One thing hasn't changed -- Karen Giron's fabulous Sweet Sunday Sketch Challenges! 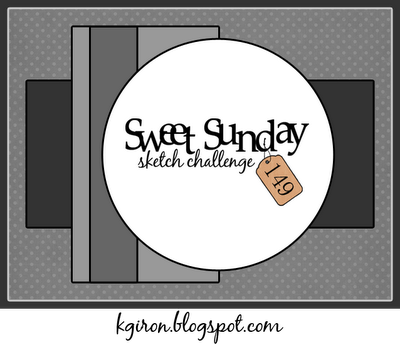 I used Karen's Sweet Sunday Sketch #149 as my inspiration. It looks like the rust is gone! Beautiful card! Have a Happy New Year Nancy! Thanks for all your inspirations, I'd be nothing without them! If this is your rusty, I'm really looking forward to your unrusty. Love the colors and the clean look to the card. Happy new year. Glad to see you back up and running. I missed seeing your cards. I'm glad everything is going well with your family and you are finally able to concentrate on making cards again. We all love your cards and your weekly picks. Love seeing you stamp again and this card is darling. So many cute details and I love the colors! 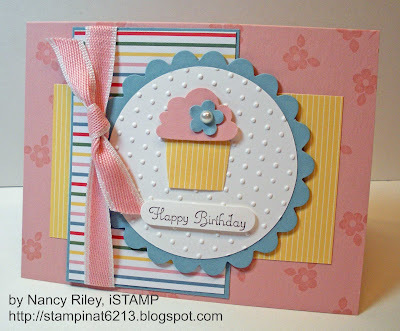 Nancy- What a beautiful card! Love it! Nancy, this is a wonderful card! I'm always looking for new and different, not to mention CUTE birthday cards! This certainly fills that bill! Beautiful card. I like the colors. Very sweet card, Nancy. Love the color selection, the layers all combining to show off the focal point....the cupcake!! Just splendid!! LOVE this, Nancy, and I'm SO happy to see you at SSSC again - we miss you! 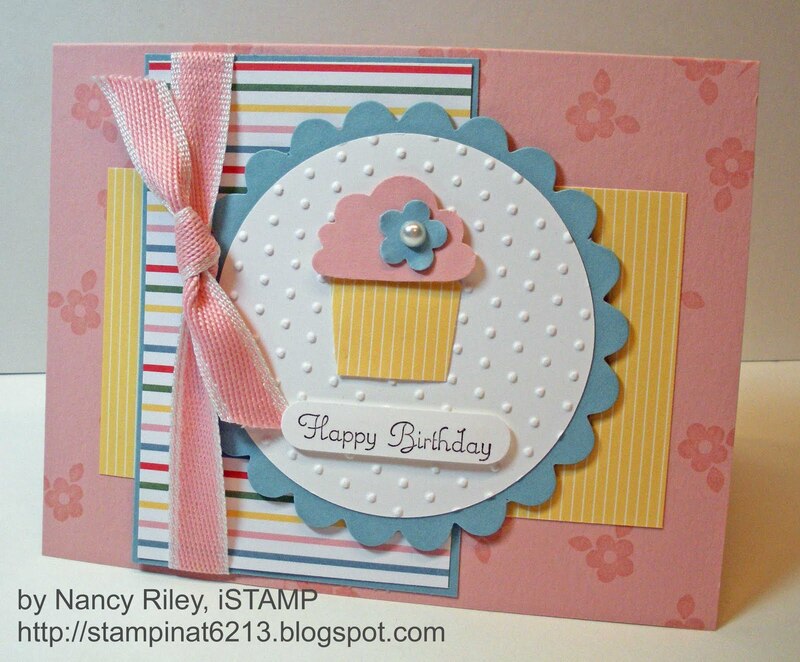 Love the colors and that sweet cupcake - just fantastic!